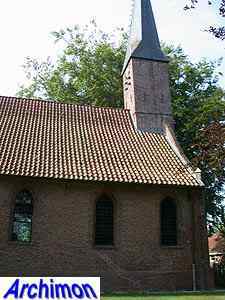 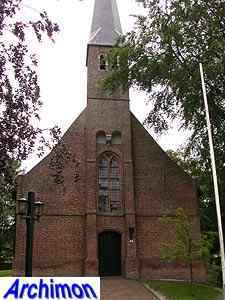 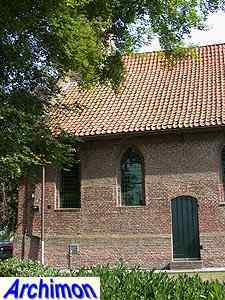 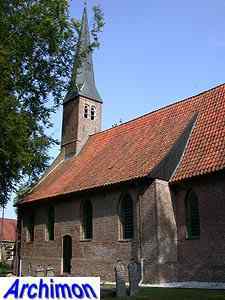 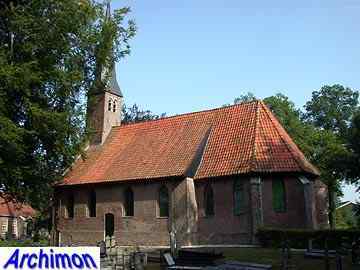 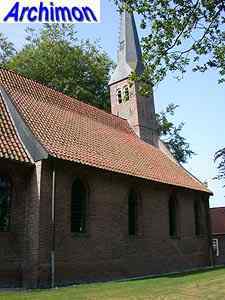 The church of Nijeveen was built shortly after the year 1477, when the village was seperated from the parish of Havelte. 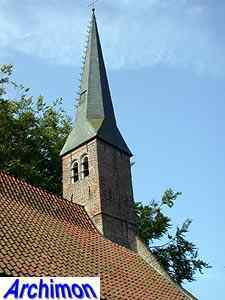 Although the period of construction defines the church as Gothic, the simple one-aisled building was built in the same way as a barn in this region, with the roof resting on a timber construction of pillars. 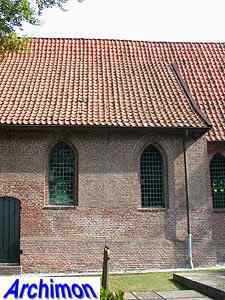 Internally, this timber construction divides the nave in three parts, the main aisle and two narrow side-aisles. 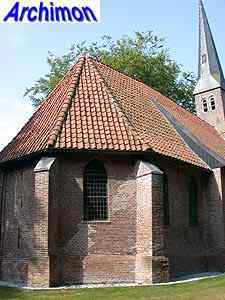 Only the walls of the choir are supporting and therefore have buttresses. 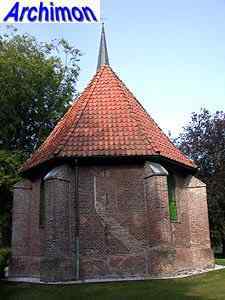 At the front is a short, square tower. 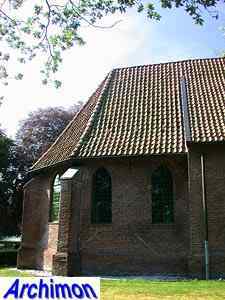 The walls of the sides of the nave were probably renewed in 1627 and heighened in the 19th century to accommodate the larger windows. 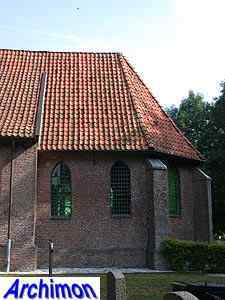 The eastern window of the choir was closed sometime after the Reformation.